Life as a mom of three kids six and under can be, in a word, hectic. Which is why I really, really, really like having all of my best resources available in one spot – I just don’t have the time (or the patience) to go rummaging around all my pinterest boards seeking out what I need. Judging by the wild popularity of this post, you guys are totally feeling me on this. So today I’ve decided to repeat the magic, and once again round up the top 30 pins filling my feed lately. Some are our pins, some are pins I just got really excited about finding. Who knows, if this post does as well as the last one, maybe I’ll make it a series. Principals of an Organized Play Room: Still need help finding space for the new Christmas toys? 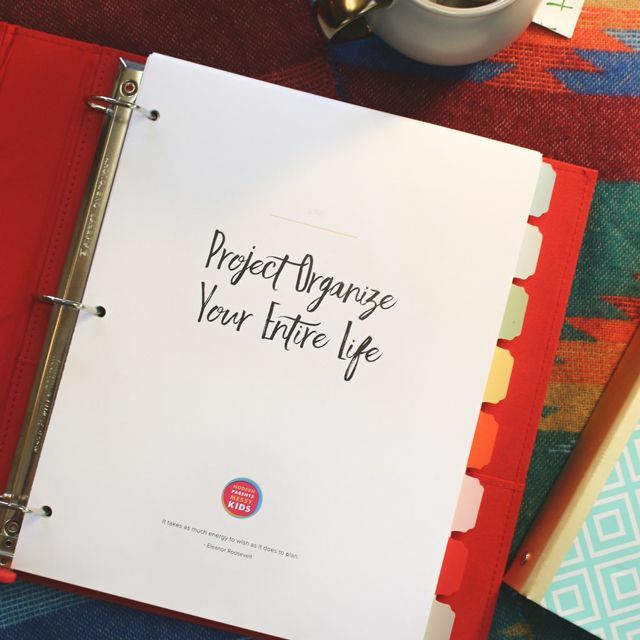 Check out these tips from a professional organizer. 10 Best Ways To Organize Art Supplies – Still love all of these ideas! Plastic trays from the Dollar Store and plastic hooks mounted to the cabinet door. This is an easy and inexpensive way to organize the small stuff anywhere in the home. I’m all over this simple, inexpensive, and surprisingly chic DIY shoe organizer (pictured above). Store and organize board games in a hanging shoe organizer. Organizing memorabilia by theme: geneology, school, holidays, birthdays, life by person (baby, toddler, childhood, college), family life, etc. This DIY chore wheel is too cute (pictured above). How to make: DIY elastic hair ties. I love how gentle these are in my hair but hate how spendy they can be – the perfect candidate for a simple DIY. Double Wrap Ponytail Bun (pictured above). My new go-to 5 minute hair style. A good casual weekend outfit: the chambray shirt and dark skinny jeans would make a nice canvas for gold-tone jewelry…minus the scarf of course. Building a Grown Up Wardrobe: Great blog post about defining your style, getting the most out of your wardrobe and closet purging! The low rolled updo. Very cute. DIY Wrap – Why haven’t I made these yet? 23 of our all time favorite healthy snacks to make for kids all in one place! Kale chips, granola bars, smoothies and more! Easy Creamy Crock-Pot Chicken Tikka Masala (pictured above) is warm, comforting, delicious, and so easy to make! 10 min. Prep! The Best Breakfasts for School Brain Power: Great list of breakfast ideas to give kids energy to pay attention and focus all day long. 5 minute easy, healthy strawberry frozen yogurt. The ultimate mommy meals resource: How to bring a meal to a friend in need with 30 days of recipes! Free printable (pictured above) – no more, “Mom, I’m bored!”. Put it up on the wall and simply point when the kiddos start whining about having nothing to do. 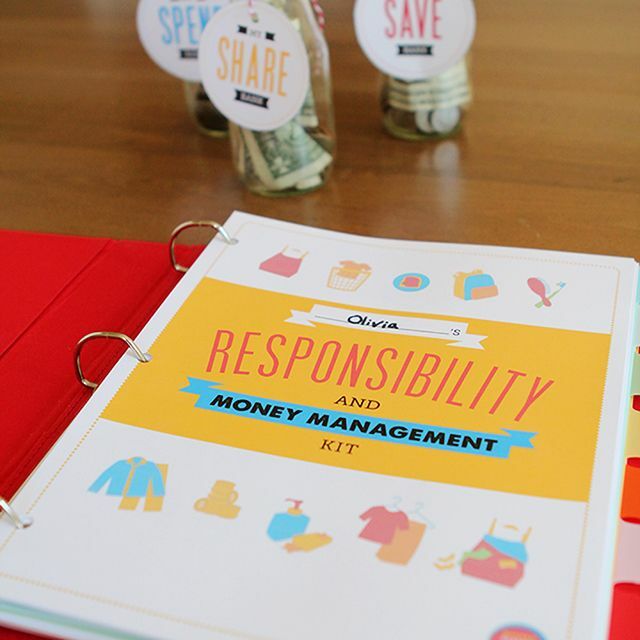 Take care of routines, family jobs, money jobs, spend/save/share banks and more with our Kids’ Responsibilities & Money Management Kit (pictured above). Great Infograph! How to Keep Kids Safe: Teach your kids these integral tips to help keep them safe from predators. How to use your iPhone’s Burst Mode to get perfect shots of the kids every time. Are you looking for simple science experiments for kids? Find an entire year of planning plus everything you need to get started with science confidence! Breaking the habit of hollow praise is not easy, so here is a list of 25 alternatives to “good job” plus a free printable poster to help you remember! 47 ways to be a fun mom — aww, I love spirit of this list! What are you most hoping to find when you go cruising on Pinterest? What type of pin makes you giddy to stumble upon?